BURBANK, Calif. (April 10, 2018) — Marvel Studios’ “Black Panther,” the highly celebrated story of T’Challa (Chadwick Boseman), a young African prince who takes on the mantle of King and Super Hero, has thrilled and inspired generations of moviegoers around the globe. Now, fans can bring home the phenomenon, packed with light-hearted fun, pulse-pounding action and a powerful message, and watch it over and over again, Digitally in HD and 4K Ultra HD™ and Movies Anywhere on May 8 and on 4K Ultra HD™, Blu-ray™, DVD and On-Demand on May 15. With both Dolby Vision and Dolby Atmos immersive sound, 4K Ultra HD offers consumers a transformative viewing experience. The global cultural phenomenon of “Black Panther” has dominated the box office charts emerging as the third biggest movie of all time domestically with over $665 million – the first filmin eight years to spend five weeks at No. 1 – and rising to the global top 10 of all time with over $1.3 billion. 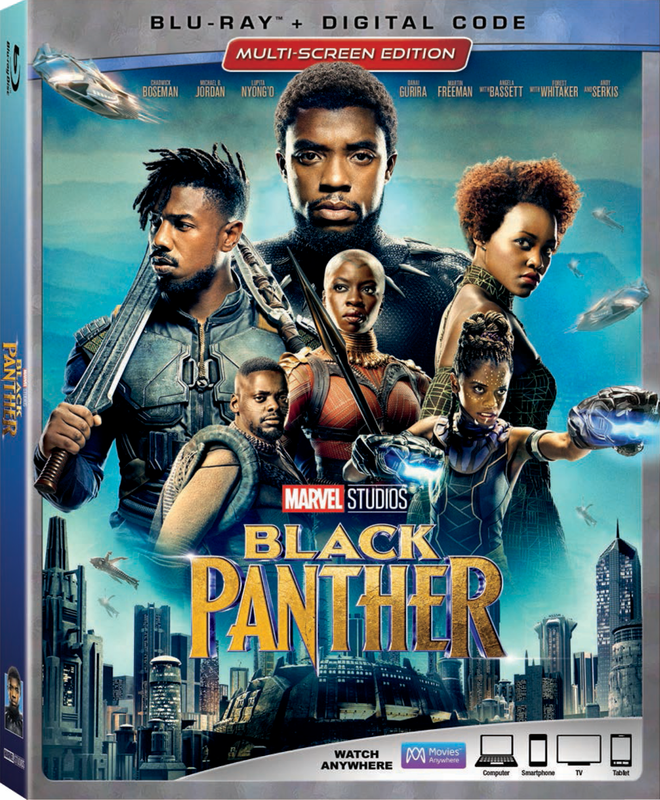 In the acclaimed film, T’Challa returns home to the hidden high-tech African nation of Wakanda to succeed to the throne and take his rightful place as king, following the death of his father. But when a man named Killmonger (Michael B. Jordan) appears, T’Challa’s mettle as king—and Black Panther—is tested when he’s drawn into a formidable conflict that puts the fate of Wakanda and the entire world at risk. Pitted against his own family, the king must rally his allies and release the full power of Black Panther to defeat his foes and embrace his future as an Avenger.